Gábor Palotás has been the percussion teacher of the Kodály Zoltán Kecskeméti Singing Music Elementary School, High School, Secondary School and Elementary School of Art since January 2008. As a teacher, he has taught percussion in several cities and spent one and a half years teaching in higher education at the University of Debrecen’s Music Academy where he taught melodic percussion instruments. 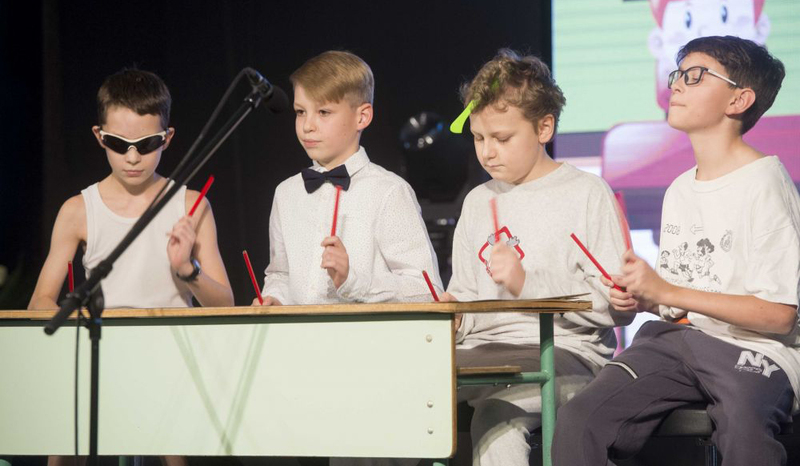 Gábor is waiting with constantly expanding material conditions for students who want to learn about percussion instruments and the young people who choose this instrument family for their profession in Kecskemét. Gábor is continually seeking to identify and engage new students interested in studying percussion. Gabor has unique offerings to expand the horizons of all players, whether a beginning player interested in learning the fundamentals or young people who is choosing percussion for their profession.